Now, Lewis and his wife have been proactive in budgeting and menu-planning and the whole family is eating a healthier diet. “My wife is good about keeping rules. If it comes in a package, don’t buy it. If it has high-fructose corn syrup, don’t buy it,” he says. This kind of silence about receiving food assistance will sound familiar to others who live in rural America. But a report out last month from the Center for Rural Affairs (CFRA) illustrates quite a different reality: The percentage of eligible people relying on SNAP is higher in rural areas than it is in urban areas. 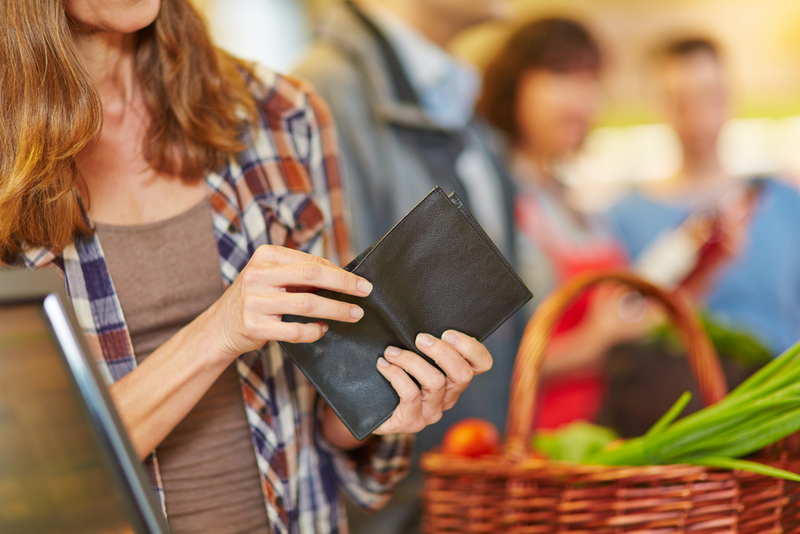 CRA found that nearly 86 percent of eligible rural residents receive SNAP benefits, compared with nearly 73 percent of eligible urban residents. Lewis feels a little more comfortable using SNAP in Colorado, saying he notices a lot of people at the grocery store doing the same. Despite that, he feels there’s still some stigma around SNAP. And, he adds, his sister still lives in Nebraska—and keeps her use of SNAP secret when possible. These facts fly in the face of the common perception is that SNAP is an urban solution to urban problems. The report is based on an analysis of U.S. Census data and looked only at patterns across the country; the authors did not compare individual states or regions of the country. One reason that may help to explain the trend, explains Bailey, is that in a lot of rural places, there are very few other options for food assistance. “In urban areas, you may have food pantries and other organizations that provide food,” he says. And there may be a large population that is close to eligible for food stamps but don’t quite need them. Ironically, many of those facing food insecurity in rural areas also work in the agricultural sector. In California’s Central Valley, for instance–one of the country’s most productive agricultural regions–hunger among farmworkers is a well-documented problem. Bailey’s hope for the report is that it will serve as a wake-up call to the country and to the country’s leaders—especially the many conservative legislators from rural areas who use SNAP to talk about government handouts and irresponsible fiscal policy. Last year, this stance, caused many rural politicians to lobby for two separate farm bills: one for rural areas that would designate farm subsidies and one for urban areas focused on SNAP dollars. Why is a "writer" not living in an urban environment with other non-agricultural workers? Most, if not all of rural SNAP recipients are non-agricultural workers or unemployed. They choose to live in rural areas to mooch off the social services benefits of rural counties. If urban social services were more lucrative these parasites would move back into the cities. So, the underlying reason so many SNAP and other social services are distributed in our rural counties is because we fund too many services there. Move these underperforming "writers" and other losers back into the cities where they belong. They contribute nothing to our rural panorama.